A UFV faculty member has won a major national literary prize. 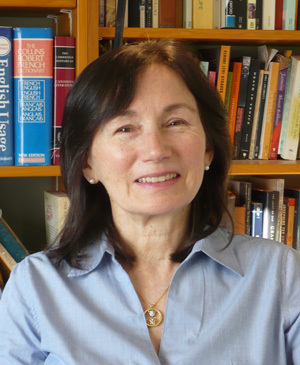 Dr. Susan Fisher, associate dean of the College of Arts and also a faculty member in the English department, won the 2012 Canada Prize for a scholarly work in the humanities category. It was one of four awards — two for scholarly works in the humanities and two for scholarly works in the social sciences, with English and French prizes in each category — awarded by the Canadian Federation for the Humanities and Social Sciences. The prizes, each of which is valued at $2,500, were presented at a special ceremony at Montreal’s Musée des beaux-arts. The winners were selected by a cross-Canada jury of scholars. “Though these four books deal with very different topics, what they have in common is their ability to shine new light on Canada’s history, culture, and identity,” said Graham Carr, president of the CFHSS. Fisher won for her work Boys and Girls in No Man’s Land: English-Canadian Children and the First World War, published by University of Toronto Press. Boys and Girls in No Man’s Land examines how the First World War entered the lives and imaginations of Canadian children. Drawing on educational materials, textbooks, adventure tales, plays and Sunday-school papers of the time, this study explores the role of children in Canada’s war effort. In the book, Fisher also considers how the representation of the war has changed in Canadian children’s literature. During the war, the conflict was presented as noble and thrilling, but recent Canadian children’s books paint a very different picture. What once was regarded a morally uplifting struggle, rich in lessons of service and sacrifice, is now presented as pointless slaughter. This shift in tone and content reveals profound changes in Canadian attitudes not only towards the First World War but also towards patriotism, duty, and the shaping of the moral citizen. “Boys and Girls in No Man’s Land is the first sustained examination of how the First World War was perceived by and affected Canadian children, making it an important contribution to the social and cultural history of the war. Susan Fisher’s grasp of the literature on the subject is excellent, while her accessible writing ensures that this book will appeal to a wide audience,” notes Jonathan Vance of the University of Western Ontario history department. said Gail Edwards of the Douglas College history department. 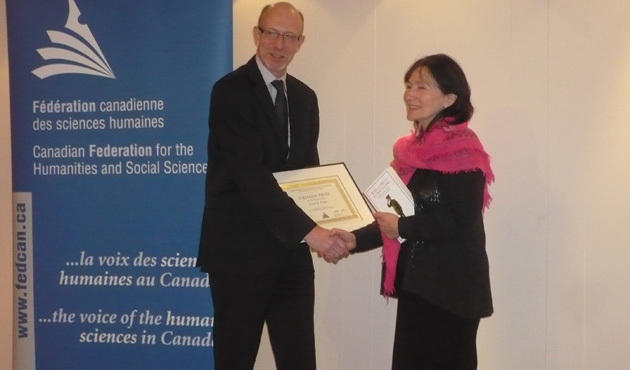 The Canada Prizes recognize works that received funding through the Aid to Scholarly Publications program, which is funded by the federal Social Sciences and Humanities Research Council. This program supports 185 titles, including up to five translations each year, with annual funding of $1.5 million. For more information, visit www.fedcan.ca/canadaprize . Congratulations Susan. What an accomplishment! Congratulations Susan. It was very inspiring to read about the diligent effort you put in writing this scholarly book. Congratulations Susan and thank you for sharing. I will look for this book and share it with friends!